SRP-EXP System is the perfect Rehabilitation Solution for circular sewer and storm water gravity mains from DN150 to DN1200 pipes. 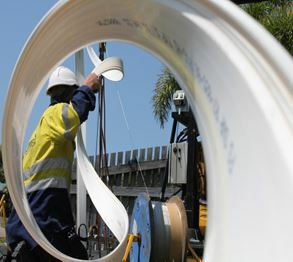 The SRP-EXP System is a “close fitting”, structural spiral ribbed PVC trenchless pipe lining system. As shown, the special winding machine is positioned into an access chamber or pit and then helically winds the SRP-EXP ribbed strip to produce a pipe within the existing pipeline. Aussie’s SRP-EXP system is first installed at a smaller diameter and then expanded to be a close fit against the internal surface of the existing pipe. It is possible to install SRP-EXP under live flow conditions. The SRP-EXP profile strip has a dual action lock. During the initial wind-in process this functions to hold the spiral wound pipe tight at the initial smaller diameter. 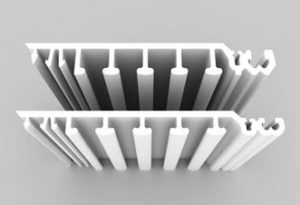 When the far end of the installation length is reached the SRP-EXP Liner end is then torsionally restrained, with the lock area sequentially released such that the SRP-EXP pipe expands in a controlled manner until it is pressed hard against the inside wall of the existing pipe. 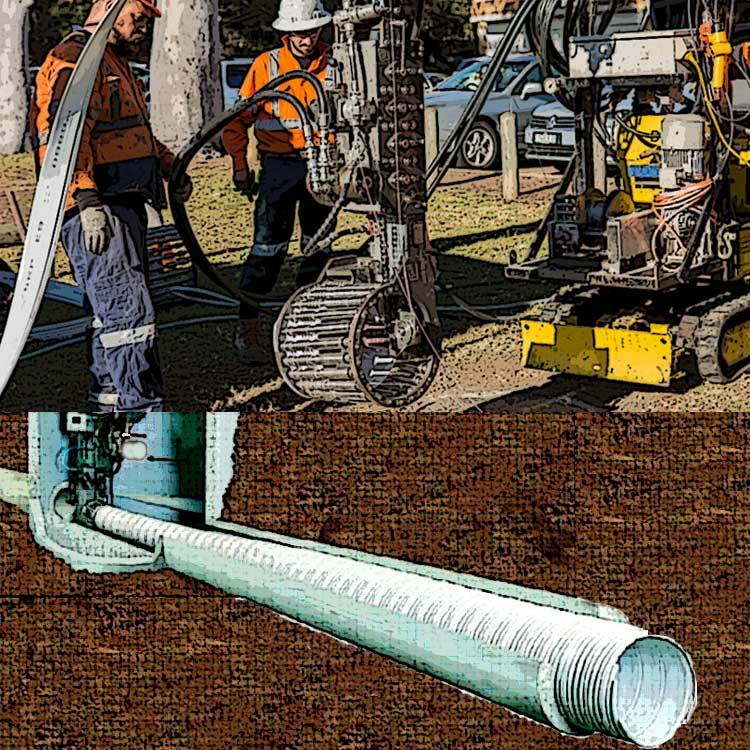 A Spiral Ribbed Pipe lining method whereby a liner pipe is formed in-situ by helically winding a PVC profile strip into a host pipe, usually from an existing access chamber. The winding machine is initially set to a smaller diameter than the host pipe and as profile is continuously fed into the winding machine the lead end of the PVC Ribbed Pipe rotates as it is wound into the host pipe. The SRP-EXP pipe will thus ride over displaced joints and negotiate slight bends and damaged areas. 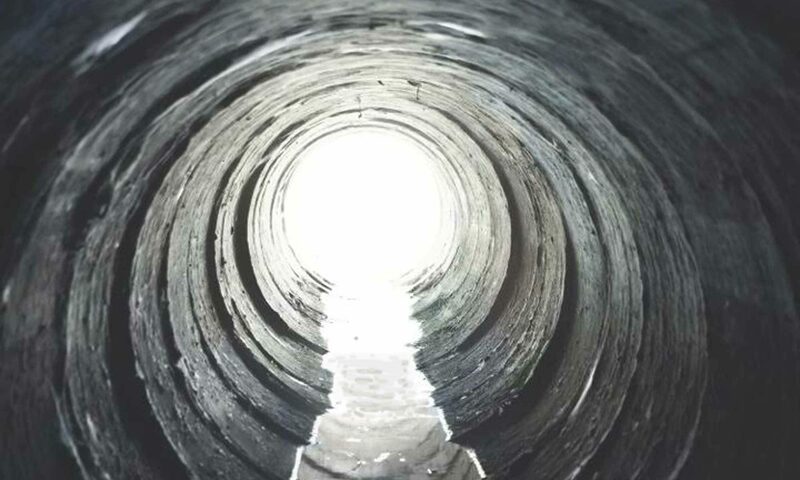 Upon reaching the other end of the host pipe the SRP-EXP is made to expand in diameter until it is in close contact with the internal surface of the existing pipe. 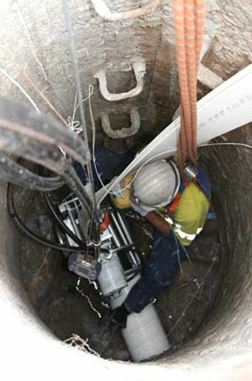 The result is a new PVC pipe within the existing damaged pipe without the need for excavation. SRP- EXP linings are designed in accordance with existing industry standards such as ASTM F1741-08 (2016) to provide a stand-alone structural liner. 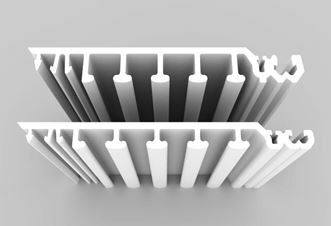 SRP- EXP is available in a number of different profiles sizes to suit gravity pipe sizes from DN150 to DN1200. Spirally Ribbed Liners are described in the ISTT & ASTT websites.